It’s not always easy getting started with something new. Sometimes it’s all good and we launch straight in, embracing change full-on. Other times we may know that a particular change is for the better, but we can be pretty comfortable with the way things are. When that happens we can be a little reluctant towards the change, even putting up barriers (intentional or unintentional) against it. There are also times when we’re ready for change but we have questions and we need answers before we tuck in. For many in HR, getting serious about workforce analytics represents a change to the way things have been. 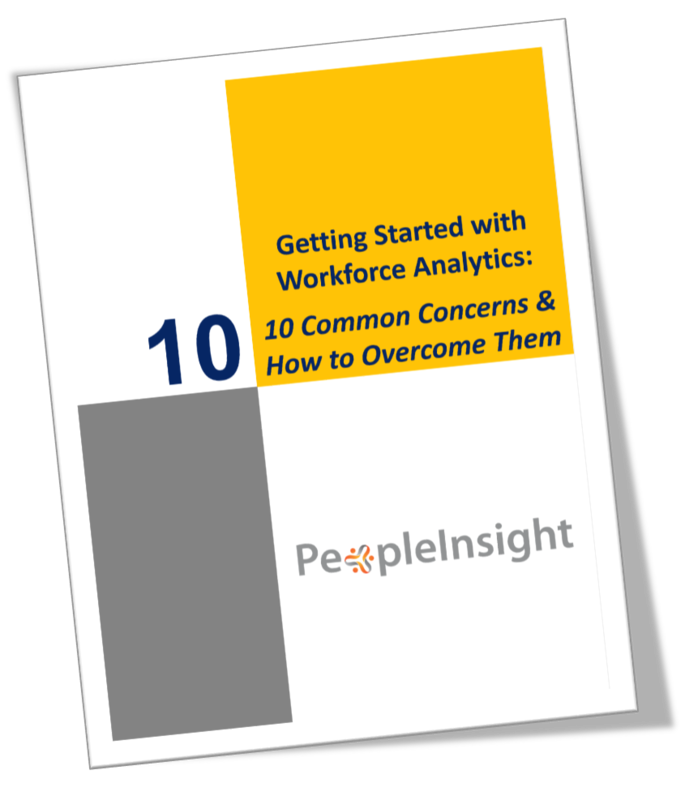 To help navigate this change, we’ve put together answers to 10 of the most common concerns and questions we get asked by HR professionals as they are looking to get started with HR and Talent analytics. I don't have time to start another initiative right now. We don't have the skills needed for analytics. I don't have the budget. Can't my HRIS / ATS provide these analytics? What about IT? Isn't analytics their turf? Our data is a mess. It would need a lot of work before we could start. We've just installed a new HRIS / ATS (or we're about to... shouldn't we wait? How do I make the case for analytics with others in the business? How do I select a workforce analytics partner? Have a question not covered?